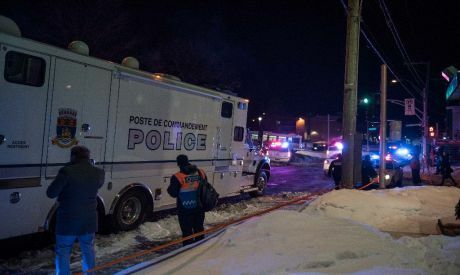 Quebec police said on Monday that only one of the two young men arrested after the murderous shooting at a mosque in the city is a "suspect", with the second "now considered a witness." Police and witnesses initially described two masked men firing inside the mosque on Sunday evening, killing six people and wounding eight. It was unclear whether they still believed two assailants were involved. One of the detainees was arrested near the mosque, while a second surrendered himself to police and confessed to taking part in the killing, said Quebec police inspector Denis Turcotte.